If you have two certificates on the captable that should have been linked as transfer, you can link the historical transfer. The original certificate must already exist on Carta and have a status of "Cancelled." 1. On the "Shares" page, select the row actions on the right side and select "Transfer shares." 2. Select the certificate to connect. The information for the original certificate will be locked in. You will be able to select the certificate(s) that should be linked and was issued as a result of the transfer. The total amounts must be equal and the cancellation date of the the original certificate must be the issue date of the resulting certificates. 3. 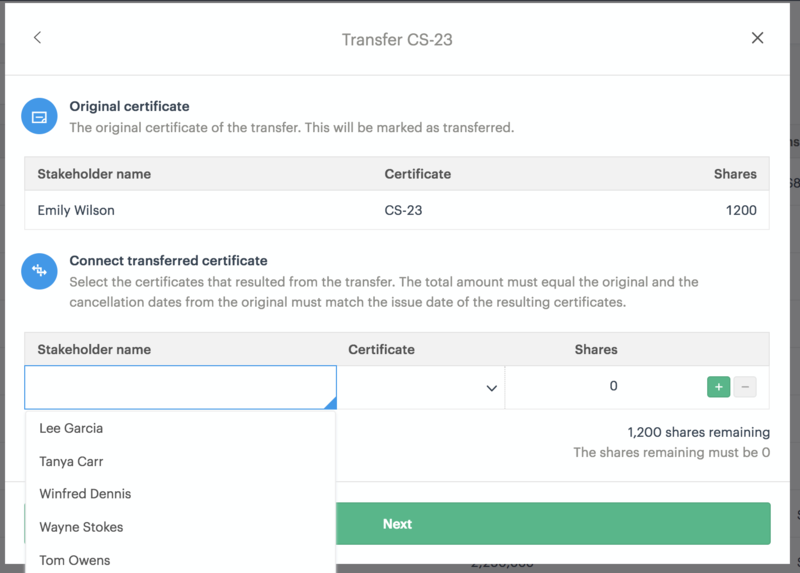 You will be able to link multiple certificates as resulting from a previous transfer. Once all shares are connected to transferred certificates you will be able to continue to the review screen. 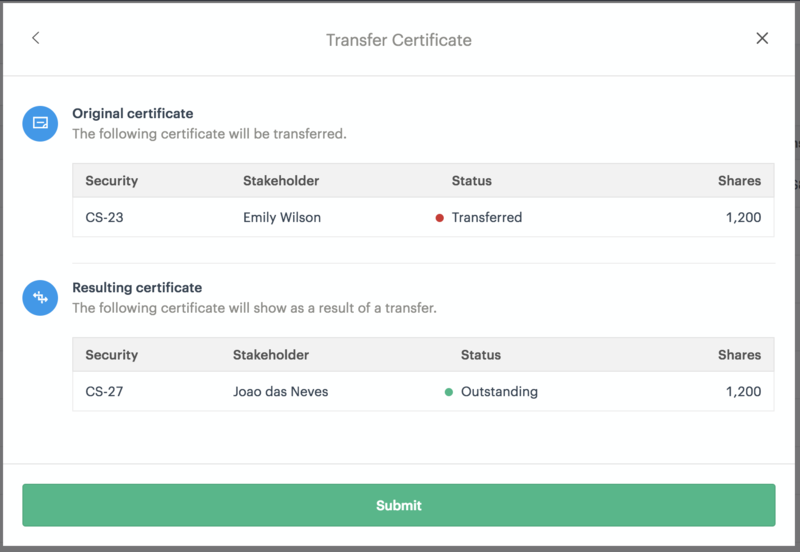 Once you submit the transfer, the status of the original certificate will change from "Canceled" to "Transferred" and certificates will show as linked.